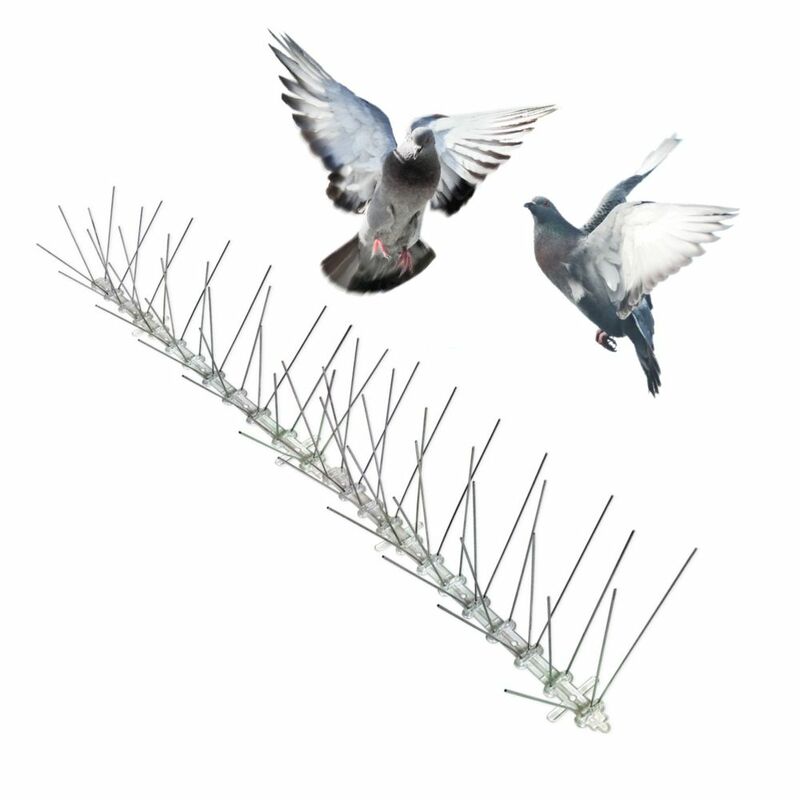 Block pigeons and other birds from their favorite landing and roosting surfaces with Bird-X Stainless Bird Spikes. Tough, long-lasting polycarbonate and stainless steel material provides maintenance-free protection. Stainless Bird Spikes won't mar the look of a building. The spikes function as a 'keep-out' sign for birds. The density of stainless steel spikes are branched from the clear polycarbonate base to offer impenetrable coverage. The flexibility of spikes allows mounting on most surfaces and is easy to install with adhesive (not included). Each section of spikes covers two linear feet, and a "spread" or width of up to 4.5 inches. Pests: birds (pigeons, sparrows, starlings, crows, blackbirds, grackles, seagulls, swallows and more), bats, climbing animals and more! Stainless Bird Spikes 24 Foot Kit Guaranteed Bird Repellent Control #1 Best Seller Block pigeons and other birds from their favorite landing and roosting surfaces with Bird-X Stainless Bird Spikes. Tough, long-lasting polycarbonate and stainless steel material provides maintenance-free protection. Stainless Bird Spikes won't mar the look of a building. The spikes function as a 'keep-out' sign for birds. The density of stainless steel spikes are branched from the clear polycarbonate base to offer impenetrable coverage. The flexibility of spikes allows mounting on most surfaces and is easy to install with adhesive (not included). Each section of spikes covers two linear feet, and a "spread" or width of up to 4.5 inches. Pests: birds (pigeons, sparrows, starlings, crows, blackbirds, grackles, seagulls, swallows and more), bats, climbing animals and more! 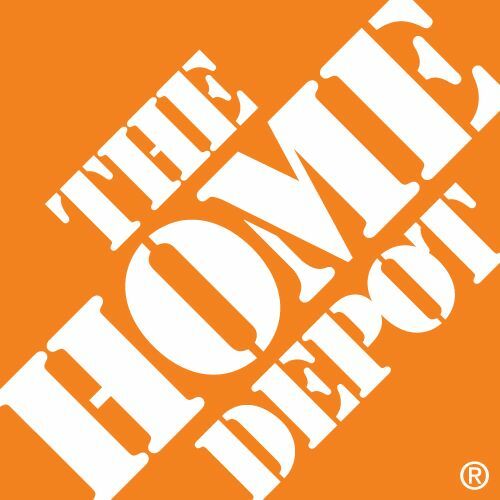 Stainless Bird Spikes 24 Foot Kit Guaranteed Bird Repellent Control #1 Best Seller is rated 4.5 out of 5 by 4. Rated 5 out of 5 by Pigeon Hater from Pigeons Begone! For 11 years pigeons have been driving me crazy with using my balcony as an overlook for nests they have built on surrounding balconies. I couldn't stand the cooing and the messy pooping. Since attaching the spikes to the railings of my balcony, the pigeons don't land and also seem to be discouraged from nesting on the surrounding balconies. I am feeling optimistic this will be the start of a much quieter and cleaner future. Rated 5 out of 5 by Saorsa from No climb zone Despite an unclimbable six foot certainteed fence installed, it has been difficult to keep intruders out regardless of police and by-law officers. At the suggestion of a neighbourhood friend, we purchased and installed these pigeon patrol spikes which seem to be working well along with the De-Fence resin spikes which do not harm any animal but inflict a lot of hurt if you attempt to climb over.